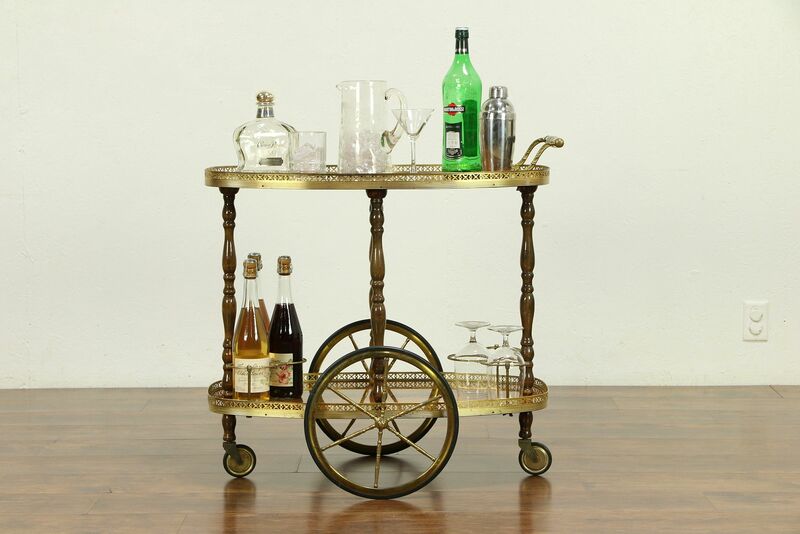 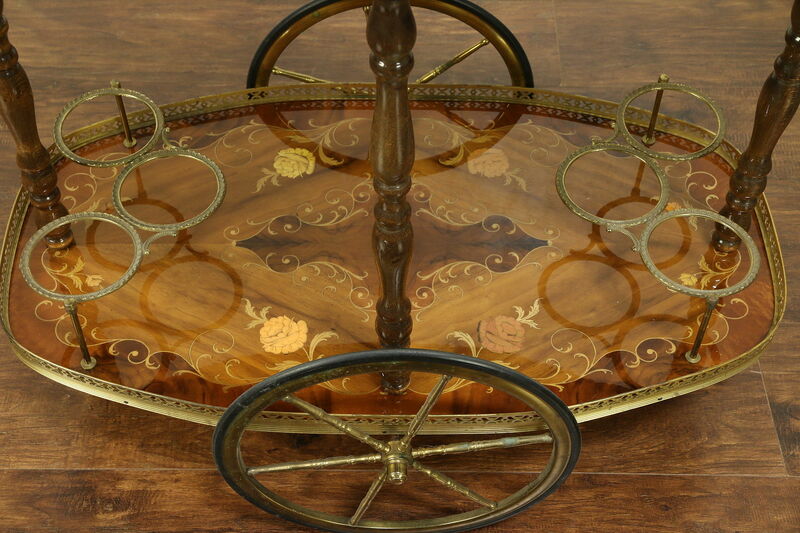 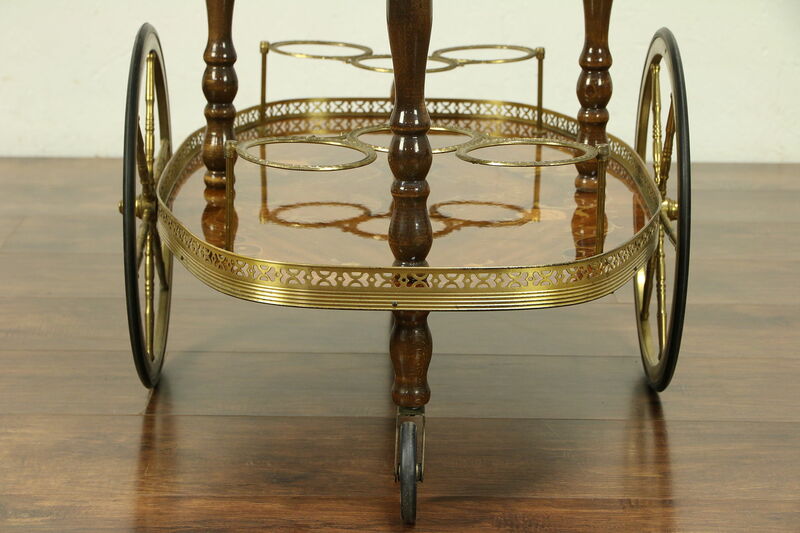 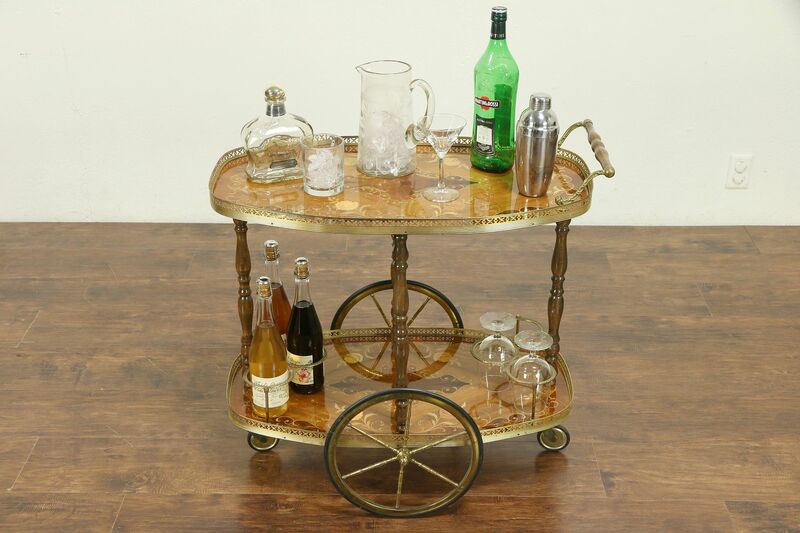 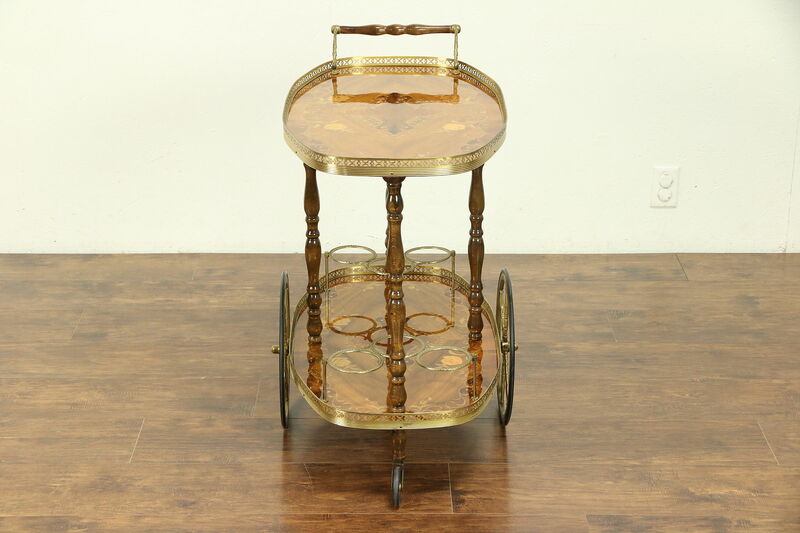 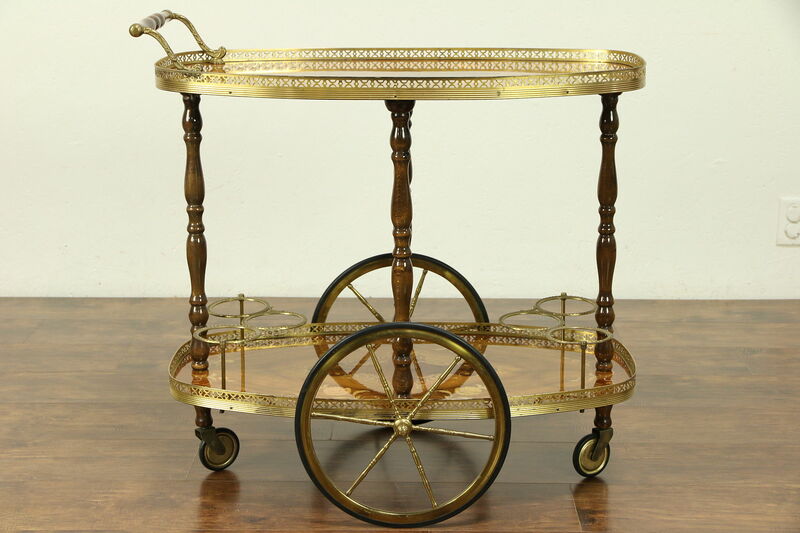 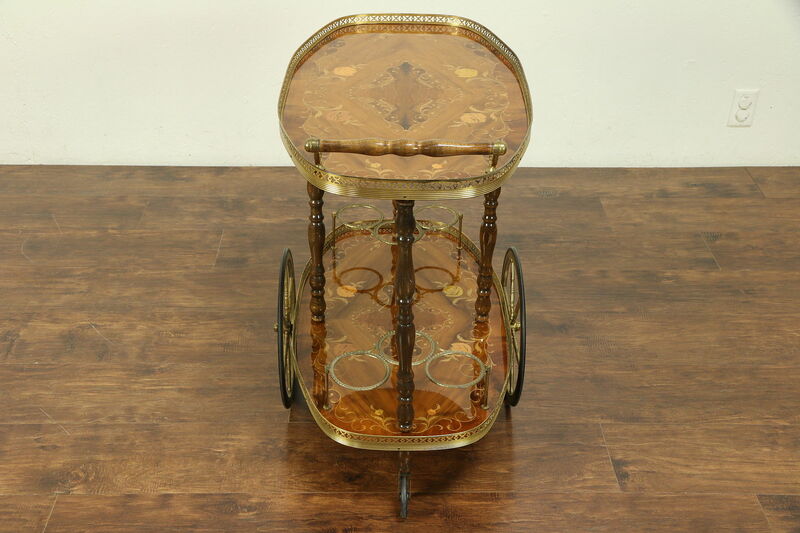 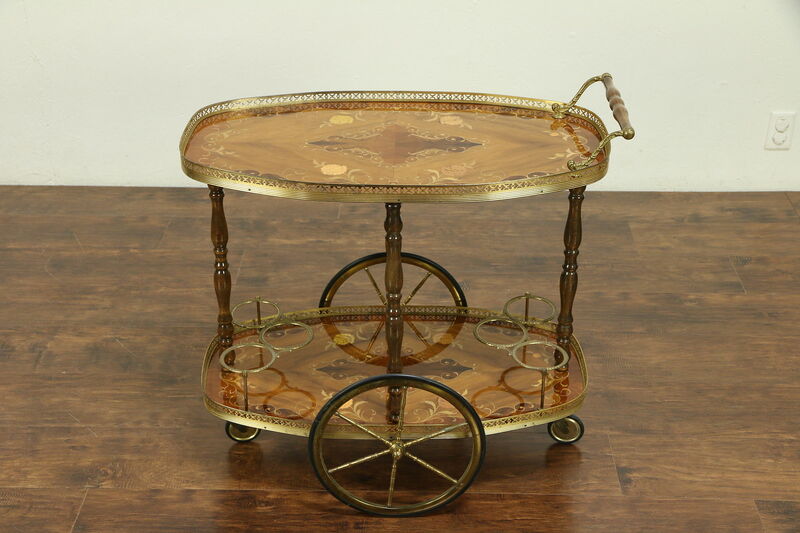 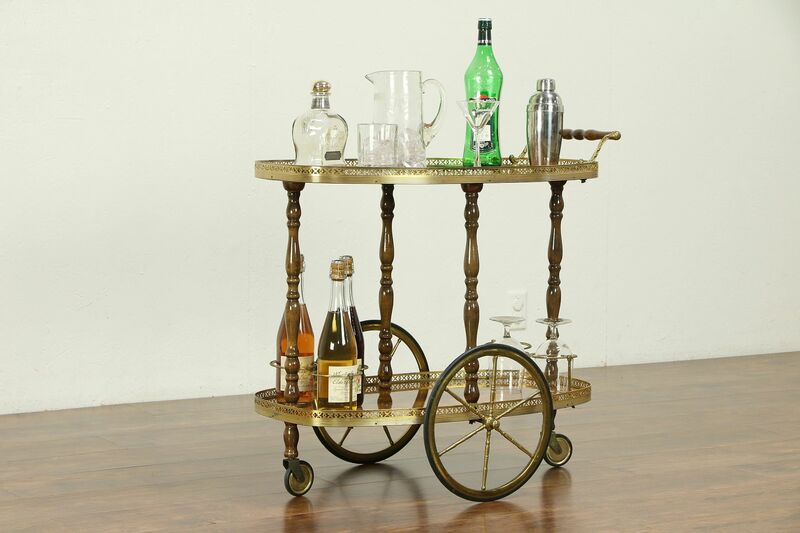 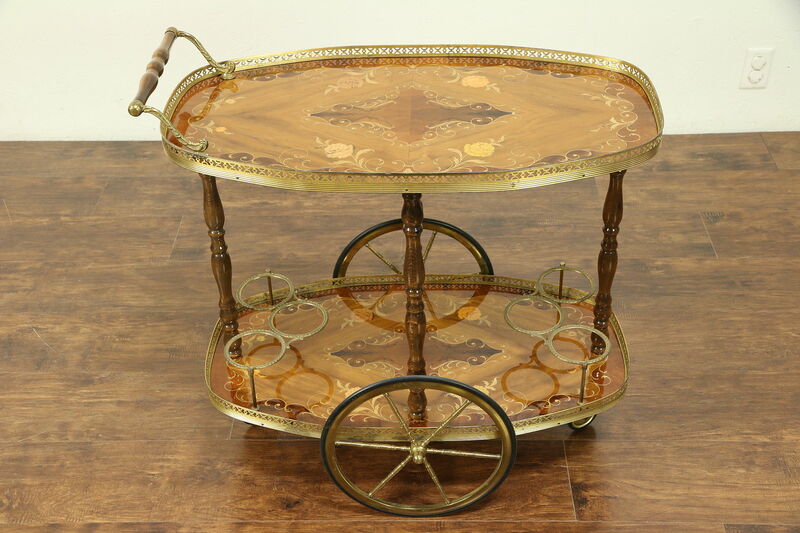 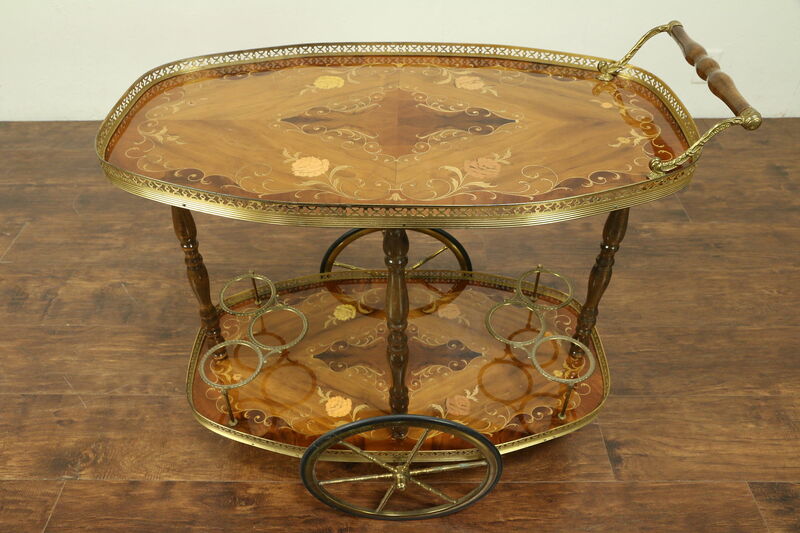 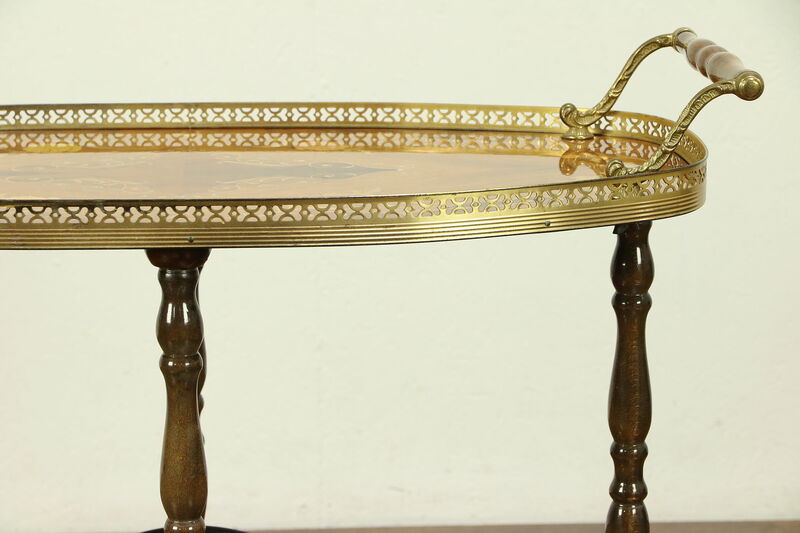 Expertly crafted in Italy with luscious marquetry, this bar cart, tea, beverage or dessert trolley is in beautiful original condition. 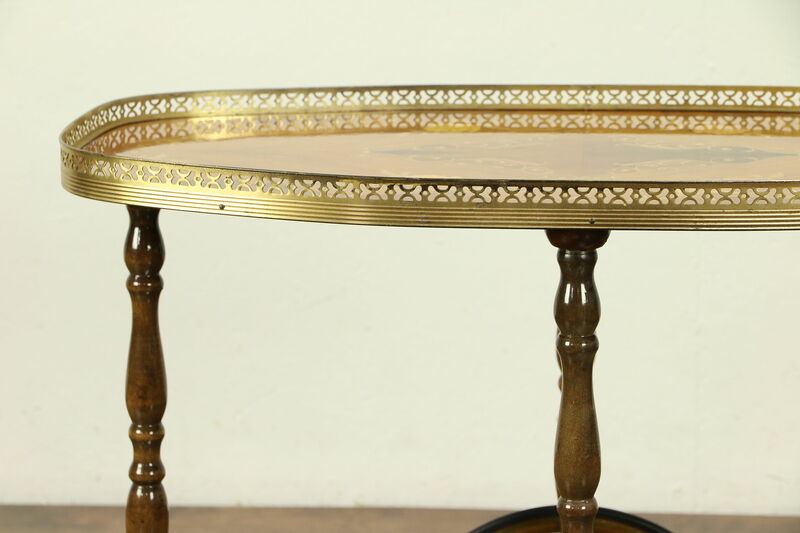 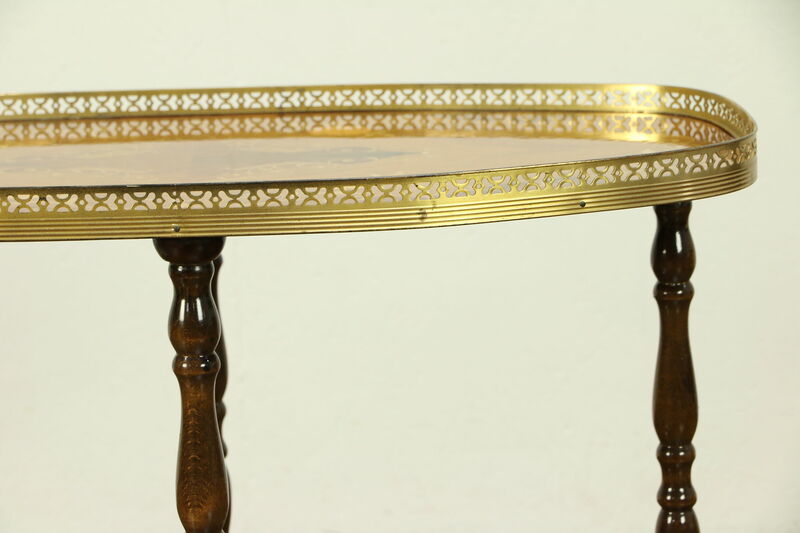 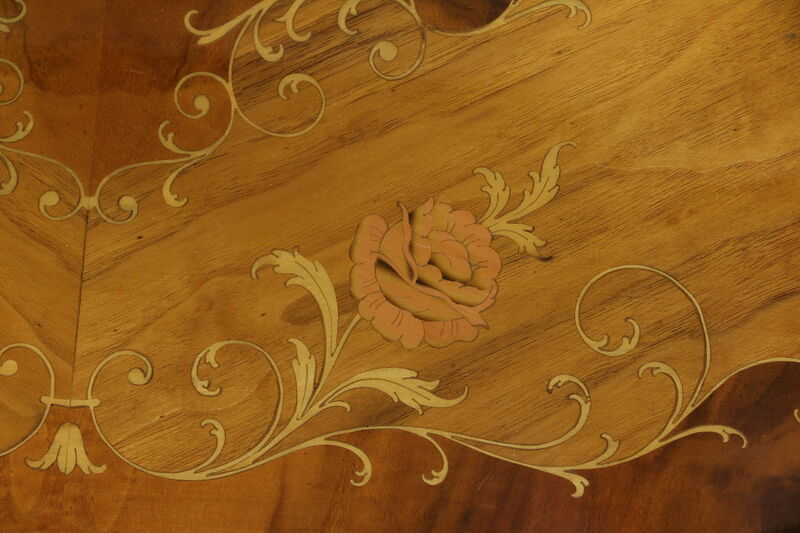 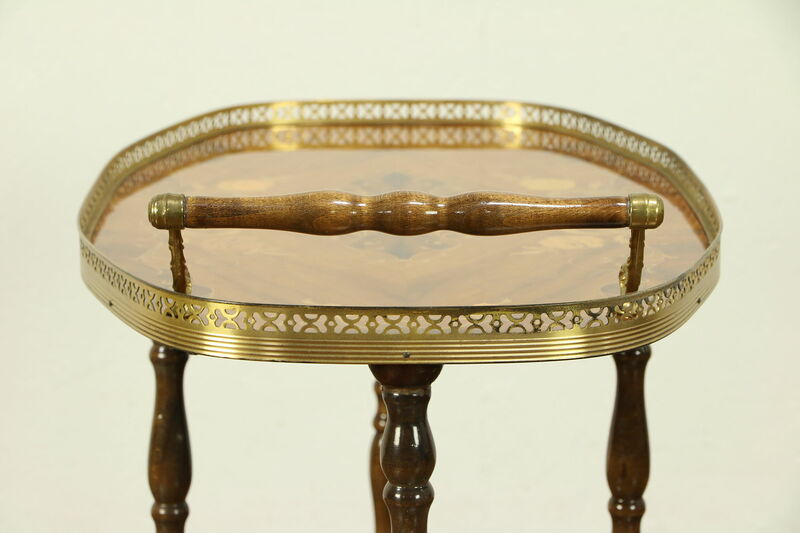 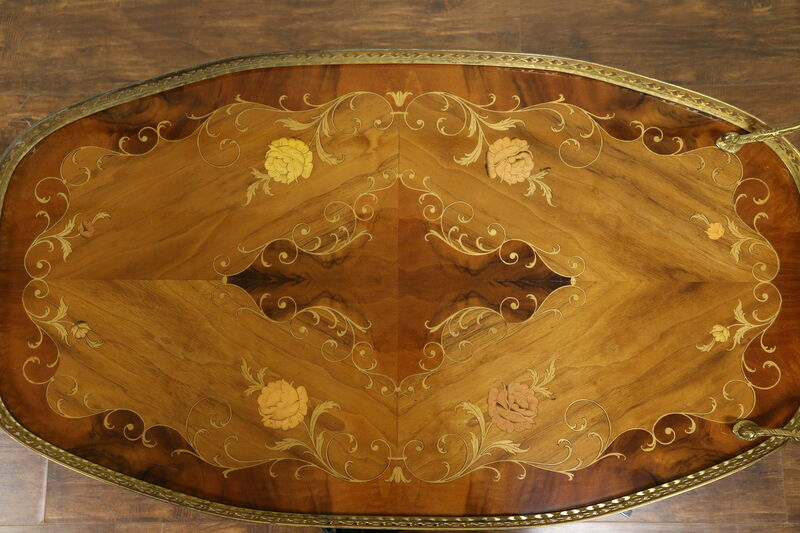 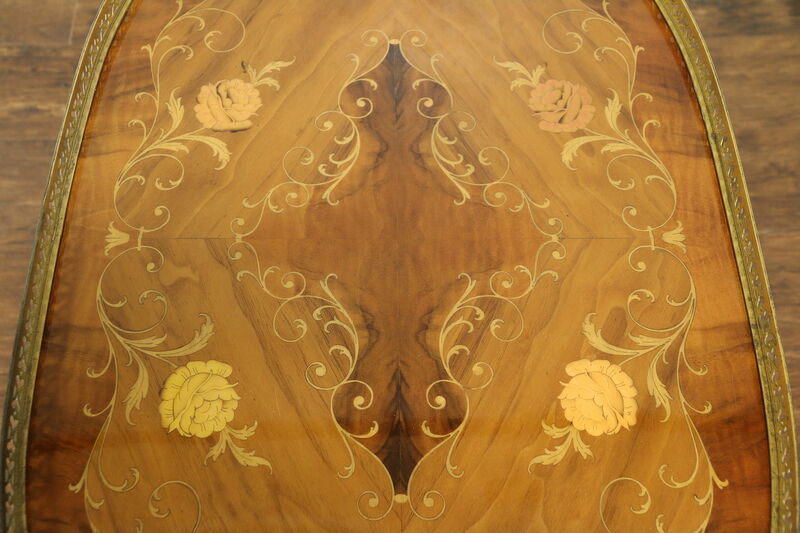 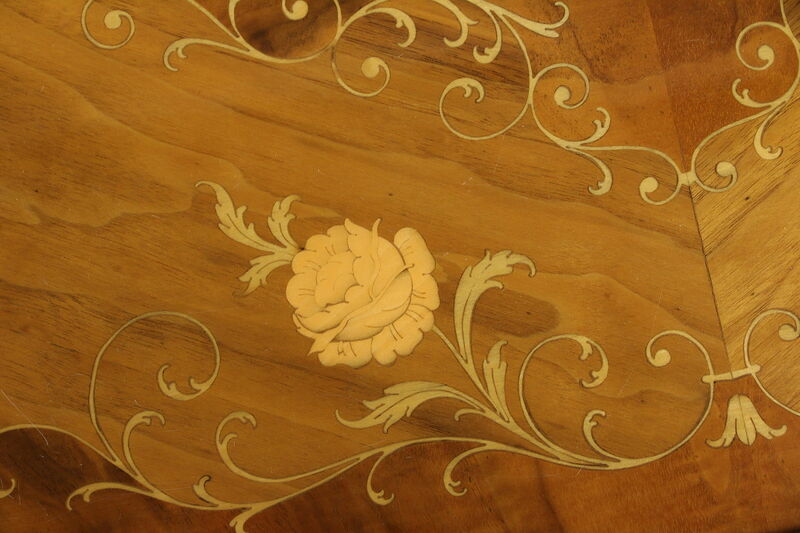 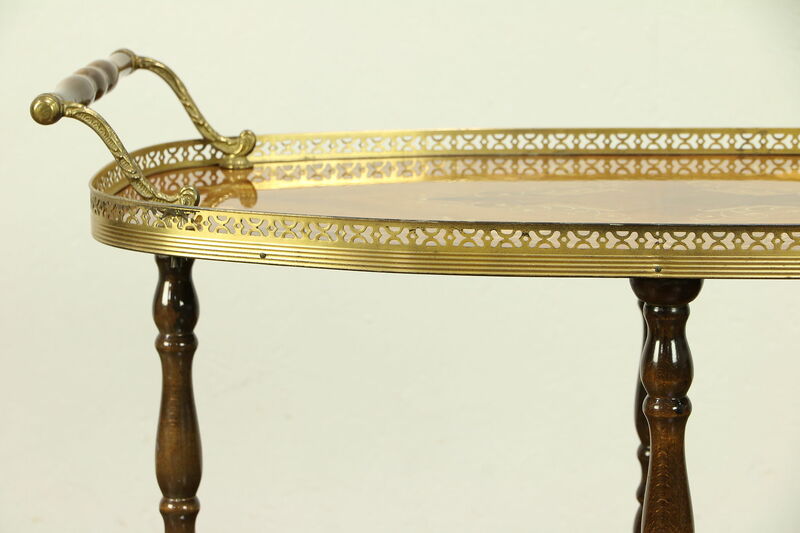 Vintage furniture from about 25 years ago, the exquisite inlay work incorporates rosewood, burl, satinwood and mahogany in remarkable floral patterns. 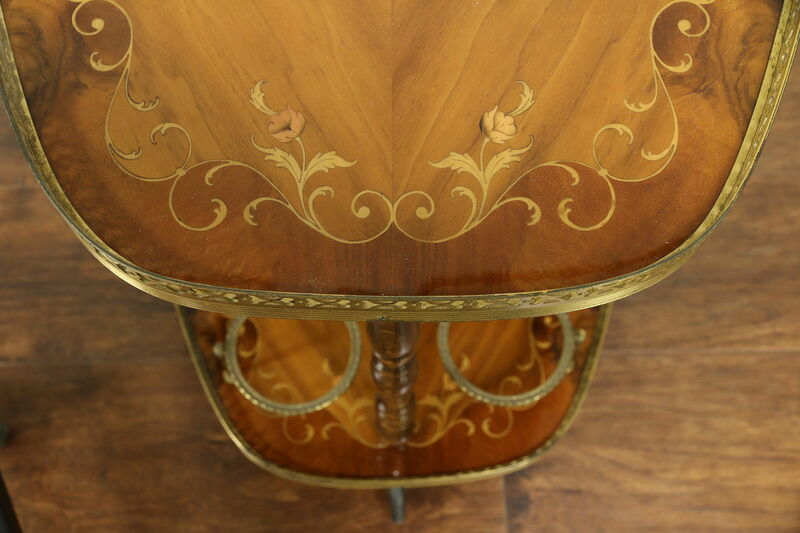 The glossy original finish has minor scratches, see photos. 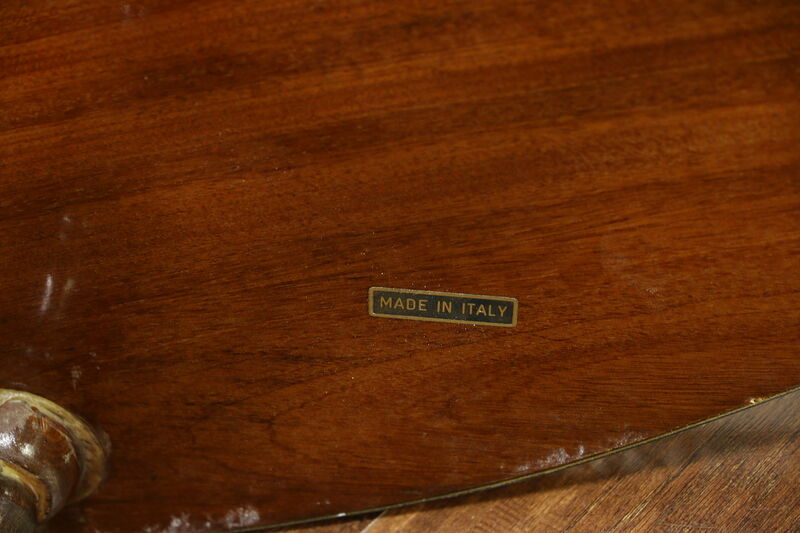 On the lower shelf are sockets for bottles or glassware. 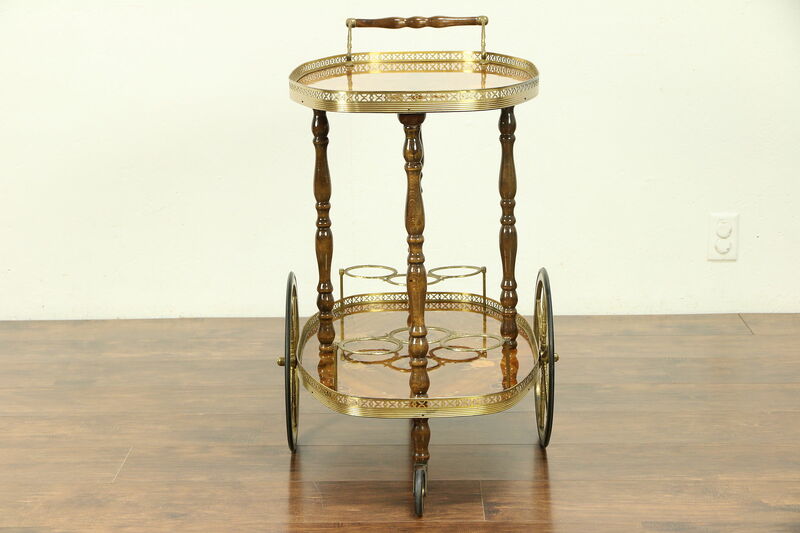 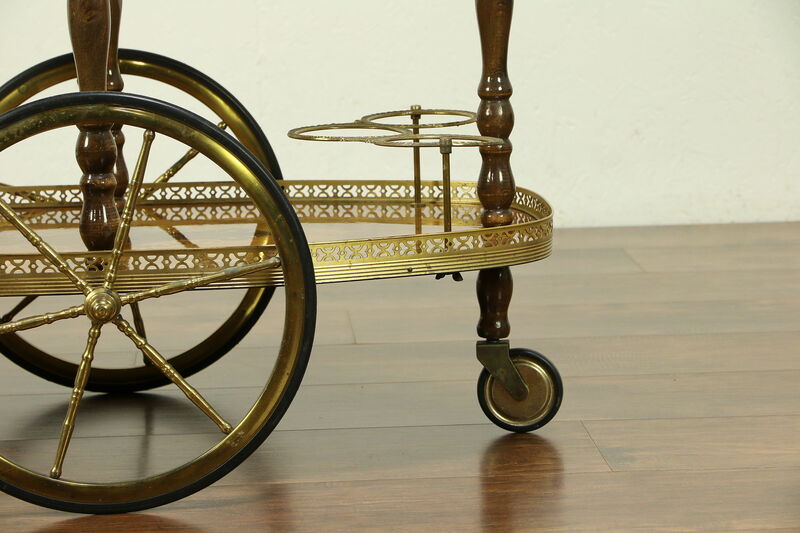 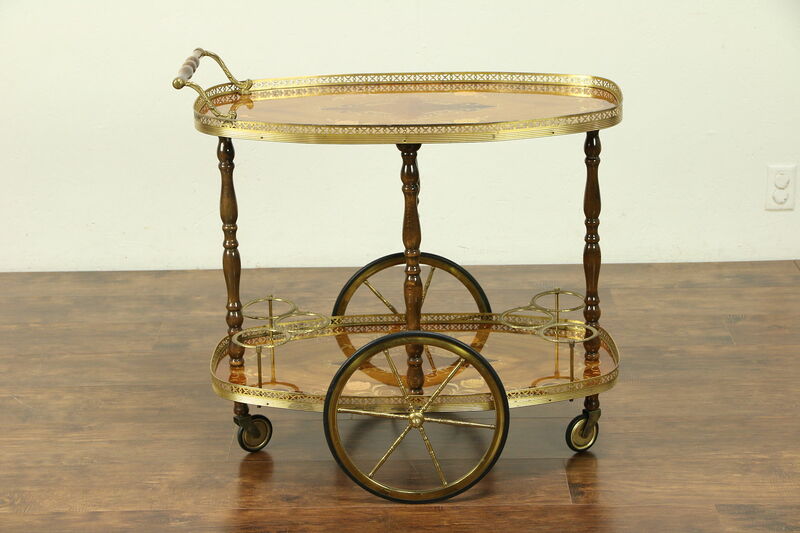 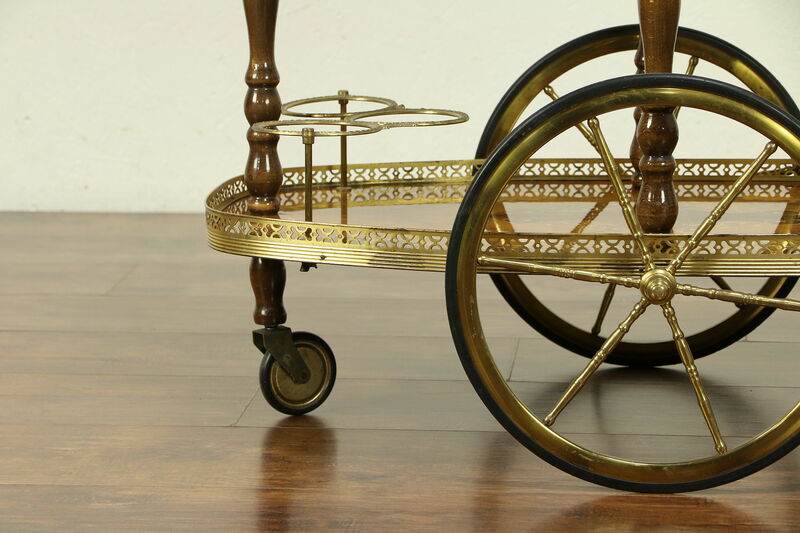 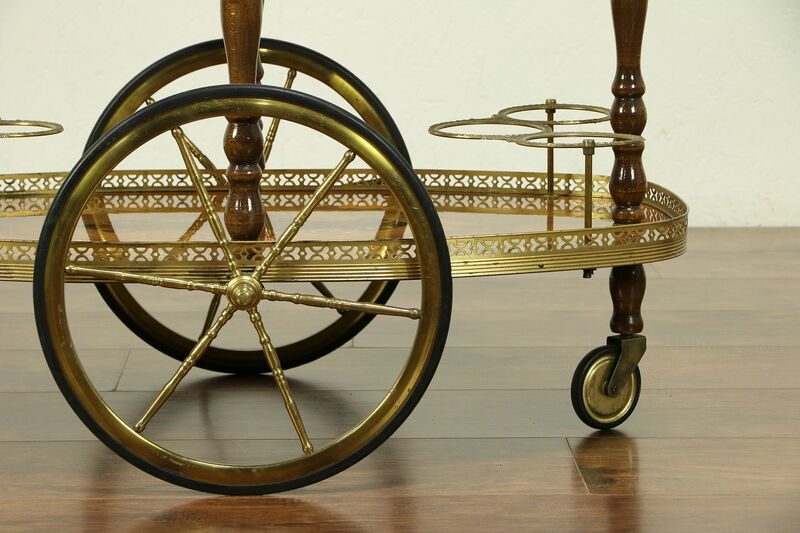 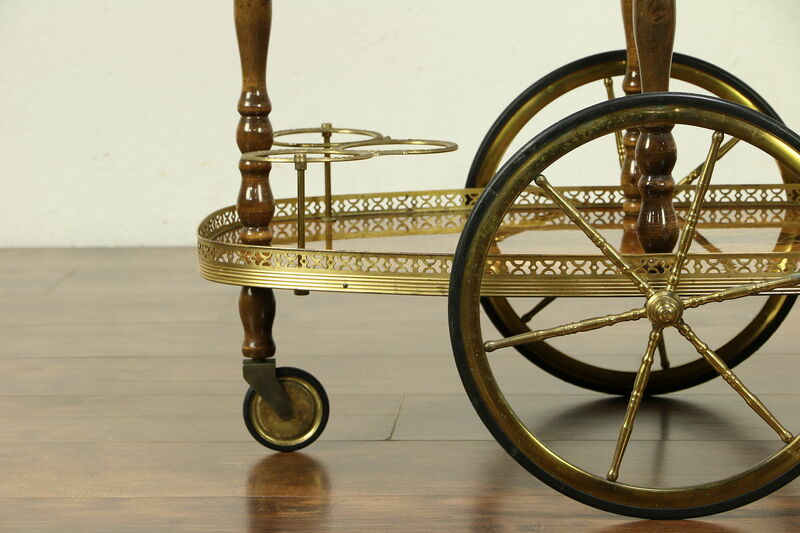 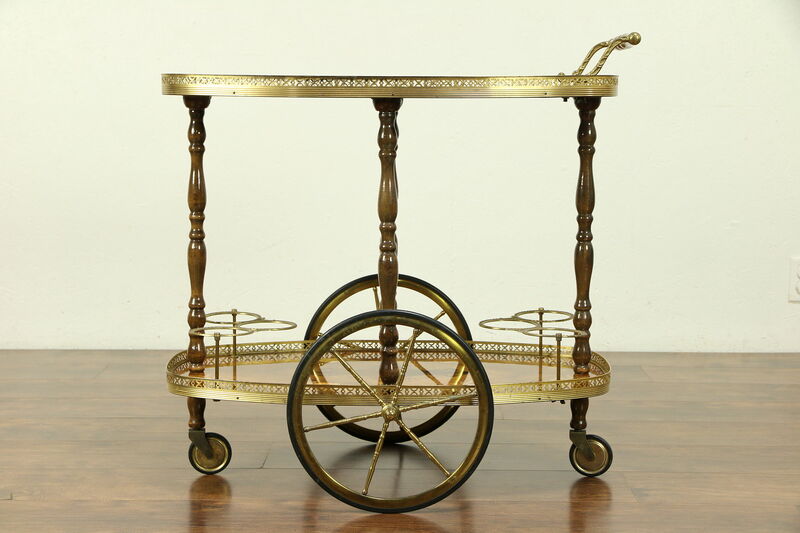 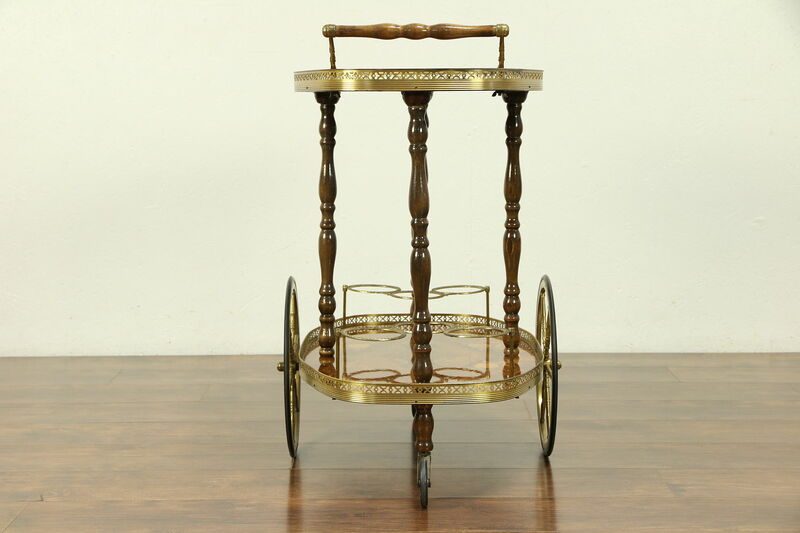 Dimensions of this charming cart are 31" long, 18" wide and 30" tall including the handle.